What are the things you must adhere to while choosing your roofing contractor? Did you ever give this enough thought? Now that you are planning a reroofing for the house, or perhaps planning a new roof installation in the new building, it’s time to realize the important criteria for hiring a roofing contractor and finalizing the deal. One of the most important things in the construction of a new house or maintenance of an old house is the roof. The roof has to be strong, durable, and resistant to weather elements, and also in your budget. When these factors are all fulfilled then comes the other factors like eco-friendly material, recyclable roofing, and others. And when you can discuss these things comfortably with a contractor, and get suggested the best way with fully satisfying answers from the contractor, then you can go ahead with that roofing company. That is why you must understand these factors as well. Establishment refers to being in the business for a considerable amount of time. When some company is into business for some time, then they acquire lots of experience. And experience is much needed for contractors to handle projects of various types with various odds and challenges. Who knows what challenge your project also may bring in the path of the roofers? That is why you must find a roofing company, who are equipped with experienced and expert roofers to handle a project of any size, volume and difficulty level in any kind of budget. Here are two things to consider. On the one hand, you would certainly want the project to be done in your budget and not to exceed it. In fact, there also you would like to save as much as possible. But on the other hand, when you see the contractor giving you low cost offers on the front foot to get your contract, be more aware and research more about them. Low-cost offers may look too good and tempting, but they should really be that good in quality for you to feel satisfied with your roof installation, repair, and finishing later. If you get into a catch in the urge to save some money, then you may repent later for the decision. And if you are asking quotes from a few roofers in the area, definitely you are going to find some low-cost quotes, which you may compare in all respects before you decide. There are great advantages to finding a locally based roofing company. You can take customer feedback about their work from locals. Naturally, a locally based roofing company would have customers too locally based. Hence extracting feedback from their list of clients would be much easy. A locally based owner generally owns local companies, and sometimes family operated too. This increases their reliability. Hence, you can always get back to them in case you are facing any trouble or have any query, or need a re-work done. But if you go beyond name and brand and all that and chase a company that is far away, then you may later face a situation where the roofing company no more exists, or just disappeared, or stopped business. And in that case, you will suffer a lot. Always check this point while hiring a roofing contractor. Roofing is a job of high risk although things are taken care of by experienced roofers. 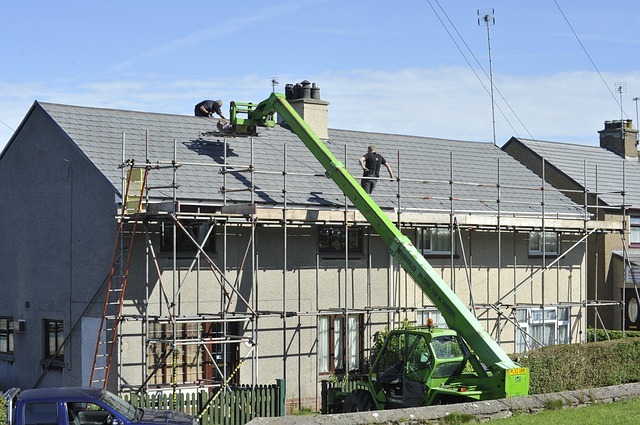 The first thing about roofing involves working at a height, and next is handling heavy materials while balancing with the height and construction work. Hence, chances of injury or property damage in the worst cases are always there in a job if you consider the risk factors. That is why, the roofing company must have insurance to protect your property, you, and their workers during the job. In that case, no liability will come on you, and any life or property damage will be taken care of monetarily by the insurance company. You must get a time estimate about project completion. This will help you only in getting the job done on time as per your convenience. Otherwise many contractors have the tendency to delay the work, elongate the time, and delay the overall project too much. If things get delayed and yet does not affect you in any way, then you can be lenient. Otherwise, you must set deadlines for the contractor as per the time period they commit initially. Before you talk to the roofing contractor, check out the Colorado Springs Klaus Roofing website. This will give you a vivid idea of what to expect from them. Accordingly, you can set the goals and talk. In case you discover you really can’t have the job done in the way you want, and there are some mismatches, you can move out and find another contractor. This saves time and helps you stay away from being harassed later. Roofing is always one of the most important projects in building a house and repairing and maintaining a house. Every building needs good roofing for structural strength and aesthetics, and utility too. Thorough research is an integral part of roofing contractor selection. And the better you do this in the initial phase, the more satisfied you would be later with roof quality, budget, timing, and finishing.